Heavy-duty non-rusting, jumbo size plastic box measuring 3 7/8" x 1 7/8". 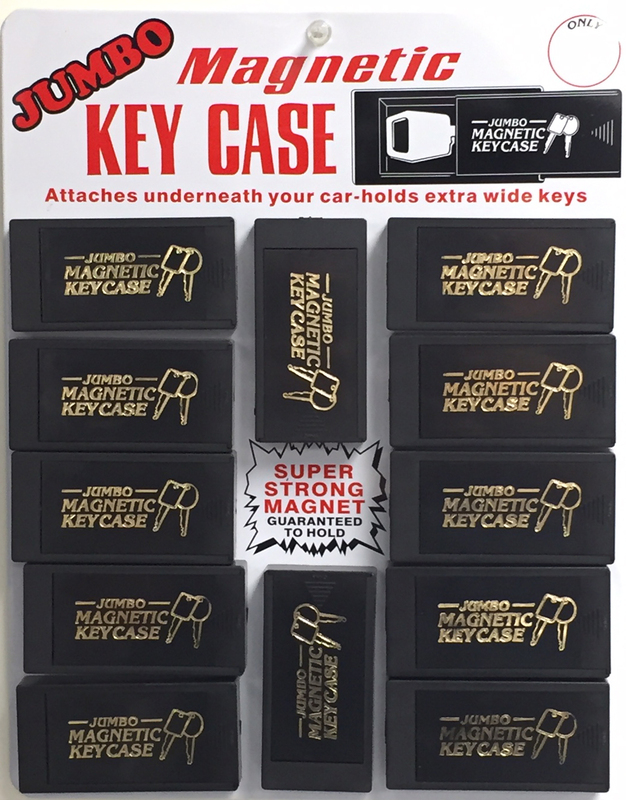 Our dual magnetic system is guaranteed not to fall off your car. 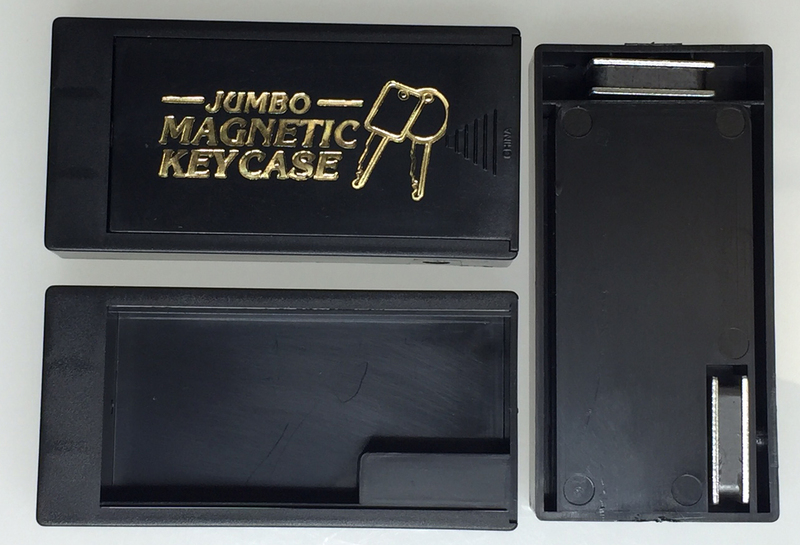 Inside box will hold keys up to 3 1/4" x 1 7/16". Packaging is Bulk.